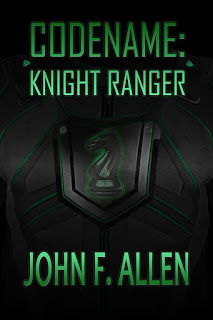 Everyone, please welcome John F. Allen, author of the urban fantasy/spy-fi novel, Codename: Knight Ranger, to Darkling Delights. 1. Genetically modified soldiers - an advantage or possible detriment? Both? Why? ANSWER: There is a distinct advantage, as with most weapons, when only one side possesses the technology. However, when that same tech is acquired by the other side, it becomes somewhat of a stalemate. As for being a detriment, that is certainly true with the side that doesn’t yet possess said tech. In the long run it is also a detriment or sorts that it pushes both sides to develop even more deadly and destructive tech. The ramifications of this technology will definitely be explored in future adventures of Knight Ranger, along with how this all ties into remnants of weapons technology left over from the Cold War. 2. How has your military experience played a part in writing Codename: Knight Ranger? ANSWER: Yes, it definitely has. As a veteran, I readily recognize the sacrifices and achievements of soldiers and exactly what that entails. In fact, it was that which initially inspired me to create the character of Knight Ranger, because I wanted to explore the devastating effects of war, not only on the soldier, but their family, their caregivers and those they encounter. I also wanted to show how war not only scars a soldier in a physical sense, but also in an emotional, mental and spiritual sense as well. 3. What inspired you to write an UF/Spy-fi novel? 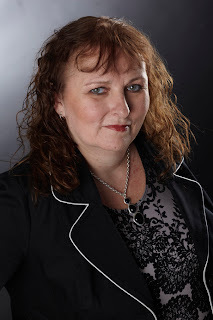 ANSWER: I grew up watching The Avengers (the British TV show), the Six Million Dollar Man, as well as reading Mary Shelley’s Frankenstein, Don Pendleton’s Mack Bolan series and I was always inspired by Marvel Comics. Combining elements of these different tropes, I knew I wanted to give a nod to the American soldier and to all of those genre shows and books which had been formative to me as a writer. 4. What new Ivoryverse books are you currently working on? ANSWER: I’m working on Book II of the Ivory Blaque series, titled “The Conclave”, which should be out in 2016. Also, I have Book II of the Knight Ranger series, titled “The God Particle Conspiracy” due out before the end of 2015 with Book III out in 2016 as one bound volume of the three novellas, an expansion of a short story titled “Witch Way Is Up” a collection of novellas tentatively titled, “Tales From The Ivoryverse”, which will feature several spin off characters from the Ivory Blaque and Knight Ranger series and lastly. 5. If you could be any character from the Ivoryverse, who would it be? ANSWER: Captain Alexandre “Neal” Du Bois...hands down! He is the epitome of what a distinguished, honorable and morally steadfast character should be. Plus, he has the perfect body and mind…’nuff said! 6. Tell readers your plans for 2016, including any signings or cons they might find you at. 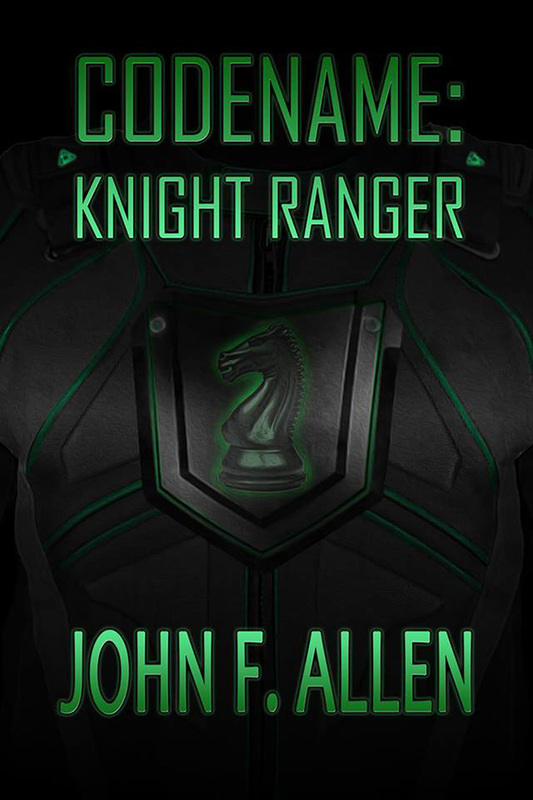 Book Synopsis for Codename: Knight Ranger: Captain Alexandre Cornelius “Neal” Du Bois is a US Army Ranger and decorated war hero. 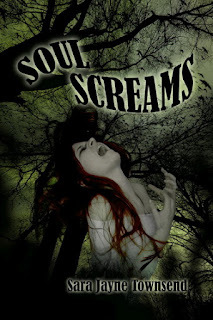 When his unit is ambushed by supernatural hostile forces while in Afghanistan, only Neal survives. When he wakes up in a secret government facility, Neal discovers that his whole life has changed forever. About the author: John F. Allen is an American writer born in Indianapolis, IN. 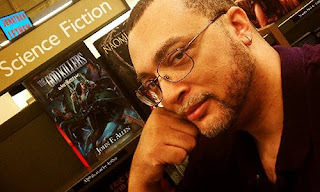 He is a member of the Speculative Fiction Guild and the Indiana Writers Center. He began writing stories as early as the second grade and pursued all forms of writing at some point, throughout his career. John studied Liberal Arts at IUPUI with a focus in Creative Writing, received an honorable discharge from the United States Air Force and is a current member of the American Legion. John’s debut novel, The God Killers was published in 2013 by Seventh Star Press.